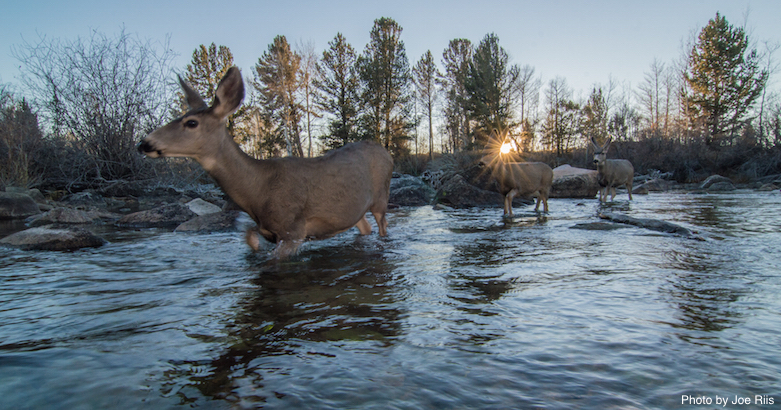 The science of big game migration is developing quickly and we are now gaining a better understanding of corridor habitats, animal behavior, and herd-level benefits associated with mule deer, pronghorn, elk, and other migrations in Wyoming and the West. As animals migrate between distant seasonal ranges, they traverse myriad jurisdictions and land ownership types, requiring managers to coordinate their efforts amid a diverse regulatory and policy landscape. The result is tremendous complexity, but also an opportunity to learn and collaborate. The forum will open with a half-day on November 9 to explore the science of long-distance big game migrations, from a global to local perspective. Day two will be about the intersection of people, policy, and wildlife migration. Through interactive panel discussions with outfitters, landowners, non-profits, state and federal agency leaders, and others, presenters and audience members will identify critical opportunities and gaps in public policy and private initiatives to further the management and conservation of big game migration in the West. Click here to view the draft forum agenda. Follow along and join the conversation on social media using the hashtag #migrationforum. Registration is closed, but contact us if you would like to be placed on a waitlist. Rooms are available for forum participants at the Hilton Garden Inn at a reduced rate of $99 per night. Please make your reservation by October 25th to guarantee rate and availability. Planning your trip to Laramie, WY. For questions, contact Nyla Hurley, special events coordinator 307-766-5080.